Prenuptial agreements are more and more popular as people are getting married later in life and after they have accumulated assets and/or had previous families that they want to make sure they provide for, striking a balance between what is left to their spouse and what is left to their children. They have also become popular due to couples’ ability to provide for exactly what they want done with their estates in place of what state law provides for regarding inheritance laws. In Florida, if you die without a will, your assets go to your closest relatives under the guidance of intestate succession laws. So, for example, this would provide your assets to your children (if you do not have a spouse), your spouse (if you do not have children), your spouse alone (if you have both a spouse and descendants with that spouse), to both your spouse and descendants (if your descendants are from another relationship), or to your sibling(s) if you do not have a spouse, parents, or descendants. If you do have a will in place, typically your surviving spouse is entitled to a minimum share of the estate. However, a surviving spouse can also choose to get the elective share trust, which is a trust under which the surviving spouse is entitled to the use of the property or all of the income payable annually. Also under Florida law, if someone creates a will before getting married and their spouse survives them, the surviving spouse is presumed to receive a share in the estate equal in value to what they would have received had the testator died intestate. Having a prenuptial agreement in place essentially assures that you control what happens to your assets upon divorce or death instead of automatically defaulting to the state laws described above. For example, you can leave more or less than half of your estate to your surviving spouse, depending upon what you would like to leave to your previous children. Other arrangements can also be made; for example, perhaps your children receive any income from a particular piece of property, but your spouse inherits that particular property upon your death. In drafting any legal agreement related to marriage and inheritance, it is critical that you obtain experienced legal representation to assist you. At the law office of Sandra Bonfiglio, P.A. 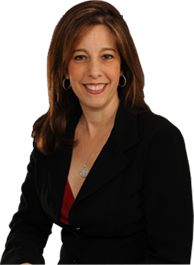 in Fort Lauderdale, we deal with all areas of family law, including pre and post nuptial agreements. Contact us today so that we can help.